It is autumn, the time of year when wood-warblers are allegedly at their most difficult. But that isn’t tough enough for 10,000 Birds readers: no, we have to make things a bit more, shall we say, diabolical? 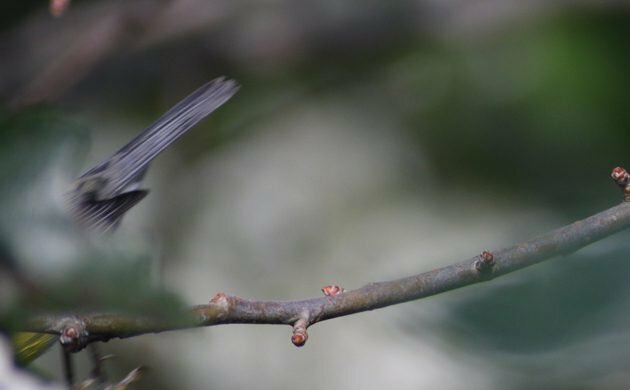 Yes, that’s right, it is time once again for a diabolical identification quiz on 10,000 Birds! 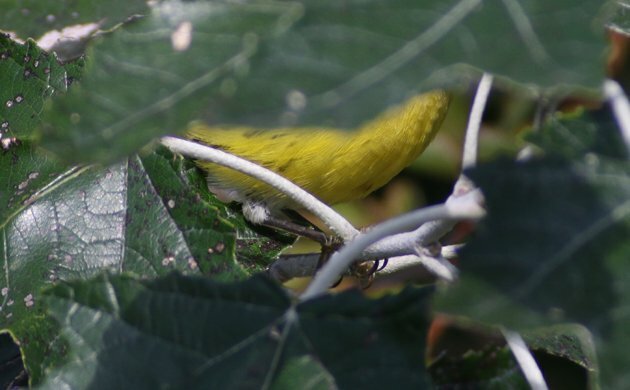 The only clues you get on this quiz are that all three images were taken in Queens in the last two weeks and all three pictures are of wood-warblers. Can you guess all three? As usual, you are to put your answers in the comments. Please identify which image each of your guesses correlates to by number and give the full common name of each bird you are guessing. Good luck! See you in the comments if you dare! If you don’t guess after reading this you will be forced to drink an entire bottle of water from the East Pond of Jamaica Bay Wildlife Refuge, a fate worse than death. But if you do guess you will be guaranteed a fantastic fall of birding during which you see a host of life birds. And if you manage to guess all three correctly you will go down in history books as the heir to John James Audubon. Good luck! You’re going to need it! Mwahahahahahahahahaha!!!!!! 1. 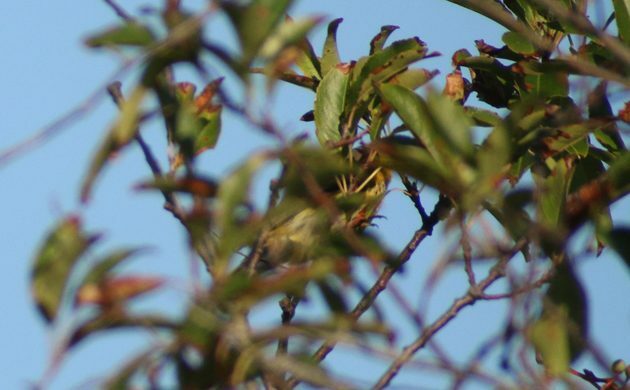 Palm Warbler, 2. Prairie Warbler, 3. Magnolia Warbler. None of these are wood warblers, you should probably update your taxonomy or guide books. Combined answers on Facebook comments and regular comments have two of the images identified correctly and one of the species depicted not mentioned at all. Between Facebook comments and regular comments all three species have been identified correctly. No one has gotten all three yet. D I A B O L I C A L ! ! ! No one has got all three. I wonder if I point out that two of the images are of the same species if that will make a difference? D I A B O L I C A L ! So is it just two species. I think you gave everyone the impression that these were three different species. You should’ve clarified that a bit more. We have a WINNER! Congratulations!